Nokia and Microsoft have been left far behind in the smartphone race by Apple and Google. Development on the Symbian OS and applications is almost stagnating with developers clamoring to get their apps on Apple’s Appstore and the Android Market. 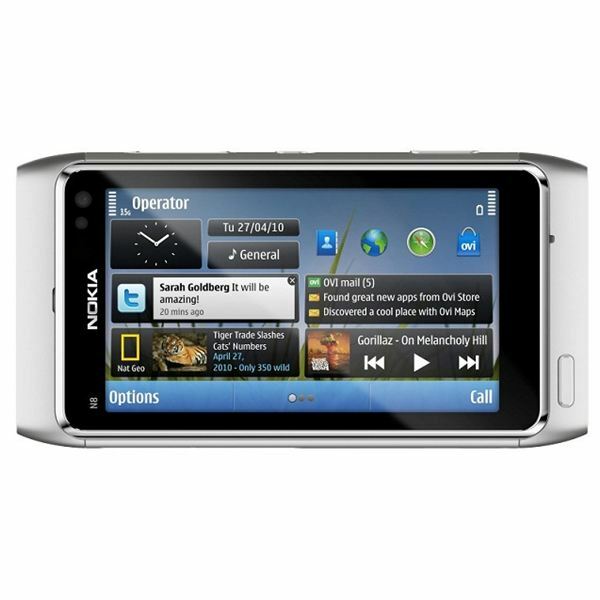 The Nokia N8 is Nokia’s latest attempt at a touchscreen smartphone which can compete with the slew of Android releases like the HTC Evo 4G, Motorola Droid X, Samsung Galaxy S as well as the iPhone 4. It is a pretty capable device with nice hardware specifications and it sports the newest iteration of the Symbian OS – Symbian ^3. It is priced much lower than the iPhone 4 and the Android phones mentioned before, Nokia has targeted people who don’t want to spend much but want a capable touchscreen smartphone. The Nokia N8 has a nice industrial design which is quite compact and lightweight. It is quite sturdy and can handle a bit of rough use. It has a 3.5 inch AMOLED capacitive touchscreen display with a resolution of 360 x 640 pixels. It is powered by an ARM 11 processor at 680 MHz and a 3D graphics processor. It has 256 MB RAM and comes with 16 GB of internal memory. It supports up to 32 GB microSD cards too. It runs the new Symbian ^3 OS which is touted to be much better than the S60 v5 OS used in current Nokia touch enabled phones. The UI seems familiar and intuitive. It has three homescreens with six widgets on each screen. The phone can be used in both landscape and portrait modes, with the UI elements arranging themselves automatically. The OS is pretty fast and offers multitasking capabilities. 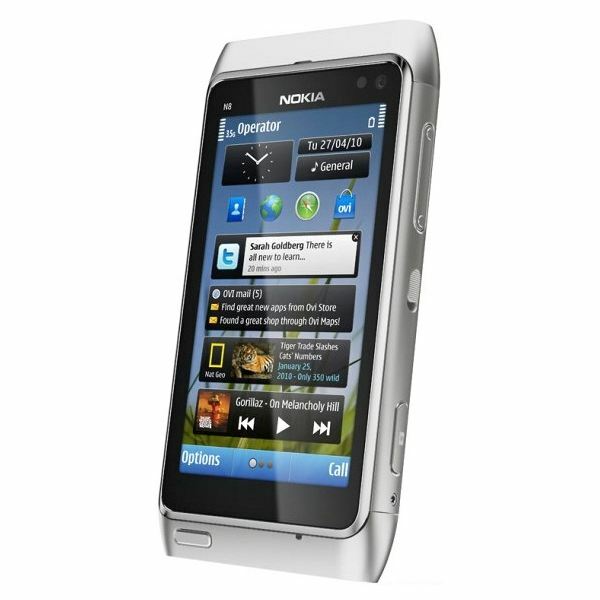 Symbian users will find the UI very similar to their existing phones. It has a 12 MP camera with autofocus and Xenon flash and offers excellent image capture quality. This is one of the best camera smartphones. It can capture 720p video at FPS which plays flawlessly without any lag. It also sports a relatively large image sensor – 1/1.83" which takes better pictures faster. It also has HDMI out which allows you to display pictures, videos, etc on a larger display. On the connectivity side, it sports all the options you need – GPRS, EDGE, 3G HSDPA, Bluetooth, Wi-Fi b/g/n with UPnP. It also has a GPS transceiver and FM radio with RDS. All in all, it offers good competition to the Android heavyweights and the iPhone 4, at least on the hardware side.